Last year I added a new segment to my newsletter called SUBSCRIBER SELECT, because I noticed that a number of people who subscribed to Tinsel & Tine's also had cool things going on; so I told them that as long as it was PG and positive, they could send me info to highlight for their business, organization, art project, film, book or special event. 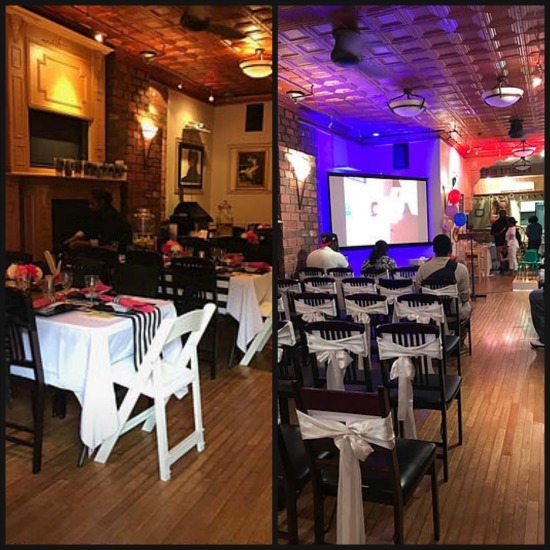 Since the next Subscriber Select has a business both food and Philly event related, I figured why not give her a stand alone blog post as well as a newsletter feature! Thank you Le Anne, I feel honored. I was blessed into this business from a vision board I did at my church, (Greater Vision Church, 221 E. Logan Street). I was asked to create a vision board as homework from my pastor Billy Thompson, Jr., I didn’t want to do it because it was “homework”, I didn’t want to do homework with the load of work that I already did each day supervising a home with two mentally challenged individuals, who require so much of my attention. So I put it off, this challenge by my pastor could wait, maybe I'd get to it eventually, or not. But I soon began getting headaches almost everyday and suffered with insomnia almost every night. I am a very religious person and grew up in a Catholic Church; so I realized exactly what was going on, I had to complete my vision board and fill it with the dream I'd had for so long - to be able to cater to people and make them happy. I also asked God that part of the blessing of this vision be a hug of thanks from all my future guests. In short, Martha's Kitchen & Events started coming together miraculously from that Vision Board. We opened November 11, 2015. I used to live paycheck to paycheck, now thankfully, I have a thriving business. A family business - Ebony Lee, my daughter helps with serving food and cleaning up. My son Hampton Lee, Jr., helps with security and closing after an event. My granddaughters Tamara, Tatianna, Aaliyah and Brielle also help me with cleaning and setting up. I work with different catering company’s or people can bring their own food if they want. If anyone is interested in finding out more, check out our gallery of photos on the Martha's Kitchen & Events website and the wonderful reviews on our Facebook page which warm my heart. The best part, every event that I host, I get a hug from my guests without me asking for one, they are so happy and delighted that I made their event extra special. When I run into these people on the street, I get another hug, because they're all now my friends. I love telling people how I got my venue, I tell them all to think big and believe in it. You are never too old to fulfill your dreams.